The Night Owl Optics xGen Digital Night Vision viewer features the latest innovations in affordable consumer night vision technology. 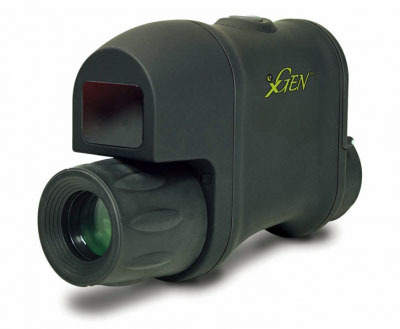 Designed for viewing out to a distance of 70 yards with the assistance of a powerful built-in infrared illuminator, the xGen viewer performs in low-light conditions or complete darkness. Range of view at 200 ft.: 40 ft.
Dimensions, inches: 4.8" X 1.65" X 3.10"